HomeMan UnitedWhat Awaits Man United Players During International Break? The first international break of 2019 is upon us. Manchester United will not be in action until the last weekend of March and players have gone to their respective national teams in preparation for important matches. Some of them will play friendly matches, while some of them will start the Euro 2020 qualifiers. Anthony Martial is amongst those who should have been with his national team, but due to his injury, Didier Deschamps could not count on him this time. Let’s see where Man United players will be in action. Most of the players will be in action in Europe, but first, let’s check out South America. Antonio Valencia has been called up to play for Ecuador once again and his national team will play two friendlies. Their first opponent will be United States away from home and then again away from home, they will meet with Honduras. England will play two qualifying matches, one on Friday and the other one on Monday. The Three Lions will first host Czech Republic, before traveling to Podgorica to play Montenegro. Marcus Rashford and Luke Shaw could play a huge part in both of those matches, as the former has been in really good form since the start of December and the latter has been one of Man United’s most consistent performers this season. France have failed to qualify for the Nations League’s Final Four tournament in June, but they will not think about that too much. 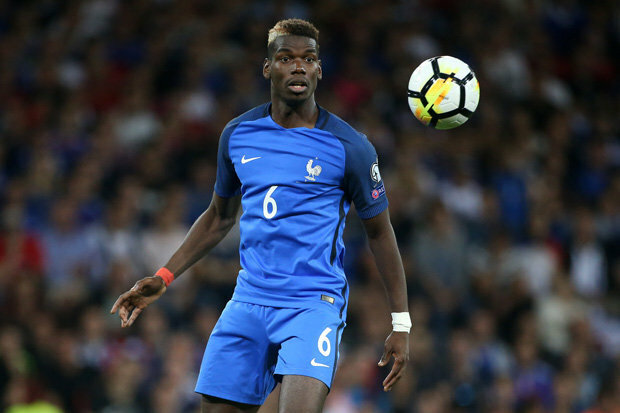 The world champions will have Paul Pogba in the squad as they will first travel to Moldova and later on face Iceland on their home soil. Ivory Coast will be playing just one match – their last one in the group stage of Africa Cup of Nations’ qualifiers. Eric Bailly and his compatriots will host Rwanda and a point will be enough to keep them in second place. After doing well in UEFA Nations League last autumn, Scotland’s up and coming squad full of youngsters will be one to watch. They will be on the road this March, first at the end of the continent, in Kazakhstan, before travelling to the San Marino. McTominay might not get plenty of minutes, but Scotland should have a feel-good factor about them. Serbia will play a friendly match on Wednesday, followed by a qualifying match on Monday. They will take on Germany to prepare for the qualifiers, but Nemanja Matic will definitely not play in that match. However, the defensive midfielder should be ready to face Portugal in Serbia’s first match the group. And last, but not the least. David De Gea has been called up by Luis Enrique for their two matches. La Roja should have an easy job – first at home to Norway and then away at Malta. De Gea will be in goal, as Kepa Arrizabalaga is not really a realistic first team choice.